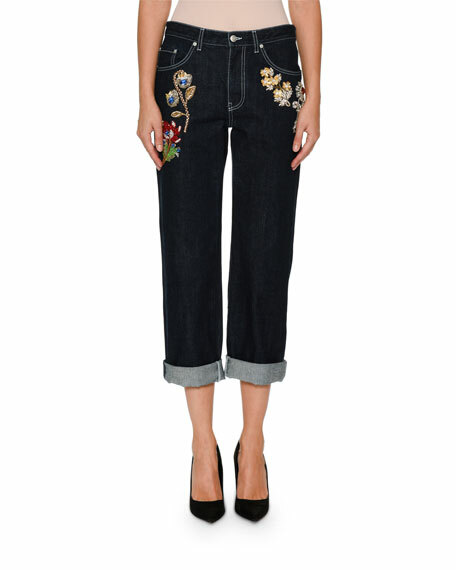 Alexander McQueen jeans in 12.5-oz., dark-wash denim with jeweled-embroidery trim. 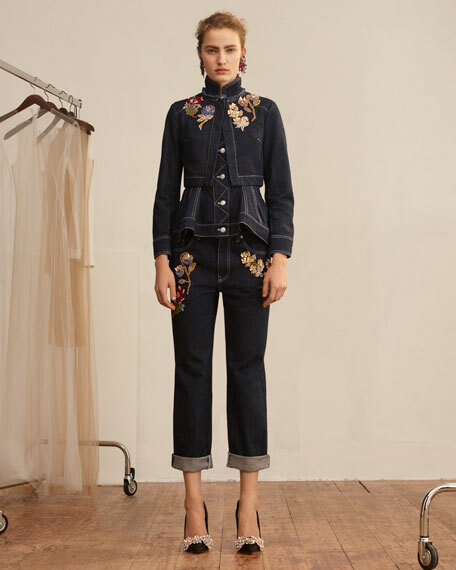 FRAME "Le High" jeans with pearl embellishments. High rise; belt loops. Four-pocket style. Fitted through straight legs. Button/zip fly. Raw-edge hem. Cropped at ankles. Cotton/polyester/spandex. Made in USA of imported material. Model's measurements: Height 5'10"/177cm, bust 33"/84cm, waist 25.6"/65.2cm, hips 35.8"/91cm, dress size US 2-4/FR 34-36. 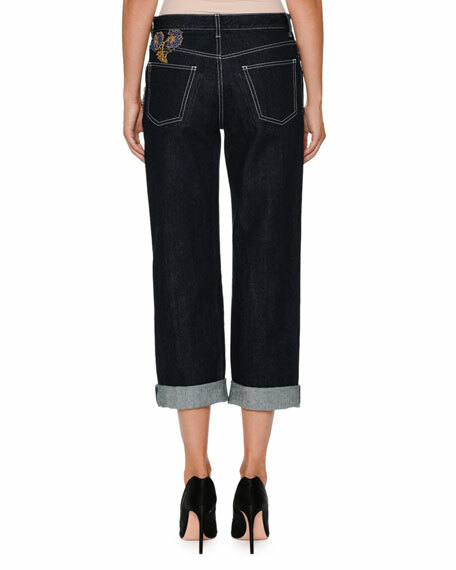 Hudson "Sammi" jeans in stretch denim. Five-pocket style. Rise sits below the natural waist. Light fading at front. Flared legs; cropped above the ankle. Raw-edge hem. Button/zip fly; belt loops. Cotton/spandex. Imported. Model's measurements: Height 5'10"/177cm, bust 33"/84cm, waist 25.6"/65.2cm, hips 35.8"/91cm, dress size US 2-4/FR 34-36.